Home » Confessions Of A Golf Blogger - Driver or Putter What's Your Poison? Confessions Of A Golf Blogger - Driver or Putter What's Your Poison? Everyone loves to hit the long ball. Nothing like splitting the fairway with that perfect drive. Most of the time we can be fixated on getting those extra yards to the point we "need" that new driver. The latest and greatest from Golf Digest's Hot List or the local Golf Show. We do our research and come home with what we think is our holy grail driver. Most of the time the lustre wears off after awhile and the cycle once again continues. Sound familiar, I have to admit I've been there. 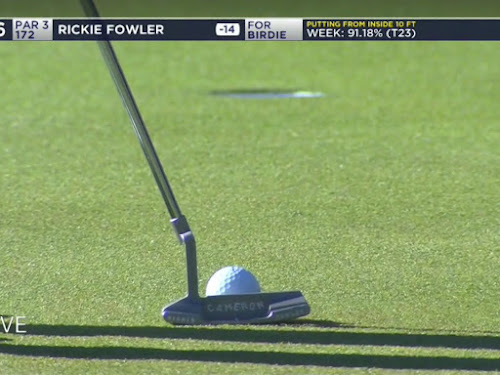 For some the "putter" or putting can be somewhat the same scenario as the driver. I feel more golfers should concentrate a little more practise putting then smashing their driver at the range. For me putting is so important and has become mostly about feel since I got serious about golf. It's also been the most consistent part of my game, mainly to do with being introduced to SeeMore Putters and their RST technology a few years back. I also like putting gadgets like David Keller's "Train Your Aim" putting aid. Concentrating on your putter and putting will do most a world of good. 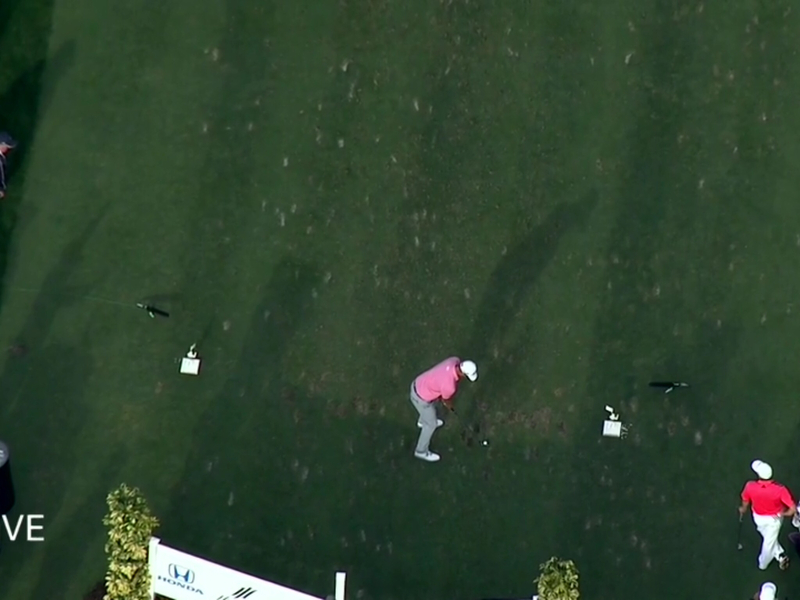 Look at Bubba Watson a few weeks ago at the Northern Trust Open. Bubba noted for his long ball, won that tournament because of his putting. He even spoke of the importance of making putts at Riviera. Remember Bubba's 10-footer for par on No. 10 to stay in the hunt in the final round or his pair of birdies to twice tie for the lead, from 30 feet on No. 11 and from 5 feet on the par-3 16th. He ended up the week at 1.316 Strokes gained putting. The same can be said for Adam Scott the last few weeks. His putting has made the difference in turning out two wins back to back no less. Scott ended up 17th in strokes-gained putting and 10th in putts per GIR. While golf is definitely not one dimensional I feel many golfers neglect their putting. For me more emphasis should be place on your putter and putting. 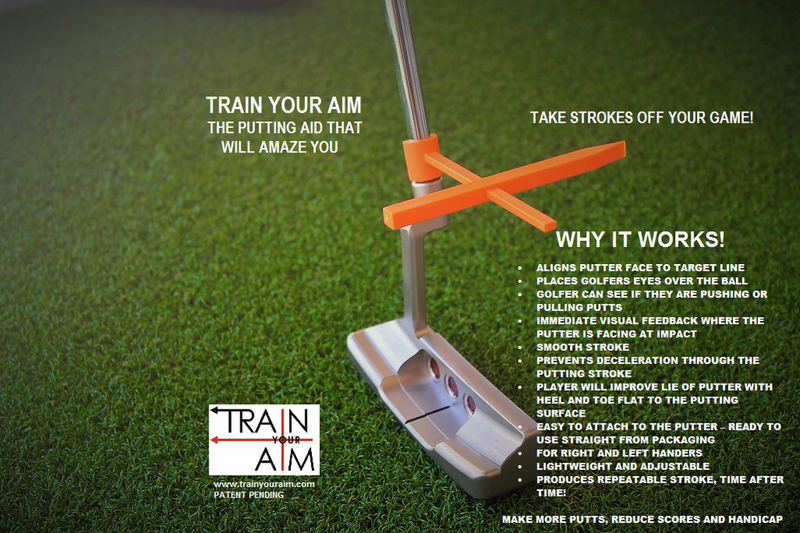 So why not get some insight from David Keller maker of the Train Your Aim putting aid. 1) With so many golf aids out there why did you choose a putting aid? A golfer probably uses his putter more than any other club in the bag. A putt can be a make or break shot for the whole round. If you miss a short putt it can be more aggravating/frustrating than any other shot. Therefore, if you improve your putting you reduce the number of shots during the round, you feel better mentally and it takes pressure off the rest of your game. You never see a pro punch the air after hitting a drive or an iron to the green. Make a putt and they are jumping for joy! I personally have been a very good ball striker and a scratch golfer. My putting has let me down over the years. Pushing, pulling and decelerating on a putt. Hitting a ball into the trees or rough can be recovered with the next shot. A missed two footer cannot be recovered and usually has a negative effect.. Flip that on the head, a drive into the rough or trees, scrambling onto the green and then sinking a putt for par can turn your whole game around. I don’t find the lines that are at the back of the putter very helpful. The reason I came up with the idea of an arrow was to be able to visualize an indicator pointing at the target. If you listen to the pros they all say putting is crucial to a good round and winning a tournament. Tiger would miss fairways and greens but make up for it by being a fantastic putter. I have played golf with many golfers who complain they scored a double or triple bogey. They consistently three putt, but they see the long shots as the problem. I always say, if you reduced your three putts you could save so many shots per round! Sometimes it clicks! 2) What has the feedback been from both amateur golfers and pros? The feedback has been fantastic for Train Your Aim. Touring pros, PGA Tour winners, Top 100 golf instructors and the weekend golfer have loved it. It is simplicity itself and that is what golf needs. We have received tremendous feedback from instructors who teach youngsters. Watch a junior/beginner put a putter behind the ball and see how they have the face open or closed by some margin. Clip Train Your Aim onto the putter shaft and see how they now understand that the arrow and, therefore, the face of the club points towards the hole or target line. Nothing is better than receiving great feedback. 3) Do you see the Train Your Aim aid evolving at all? Train Your Aim has evolved with adding a second pointer on to the clip. This allows the golfer to frame the ball with two arrows. The player and/or teacher can easily see the path of the club through the putting stroke. Train Your Aim can be used for aligning any club face from putter, wedges, irons and woods. It attached to all clubs and helps all levels of golfer. If your clubface is not square at address it is even less likely to square at impact. 4) Do you have any crazy stories of a golfer using your device and vastly improving their putting? Train Your Aim began as a pointer system. It became clear that it actually helped with the putting stroke, keeping the players head down and following through to the target. Therefore, Train Your Aim actually reduces deceleration and the yips. It creates a smoother putting stroke for all golfers. I sent a training aid to a friend of mine who was on the European Tour for many years and and now plays on the European Senior Tour. He received Train Your Aim during the week of the tournament. He sent me a few photos of him using it on the practice green and went on to win the tournament! I’m not sure it helped him win, but it’s a fun story.